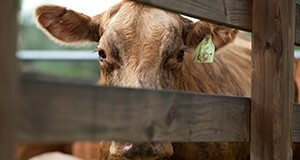 Culling decisions are important to maintain the productivity and profitability of the beef cow herd. 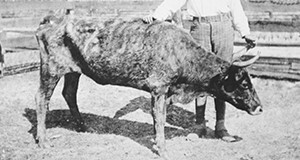 Culling of cows from the herd eliminates poorly performing cows, inferior genetics, and cows with quality defects that would limit short- and long-term productivity. 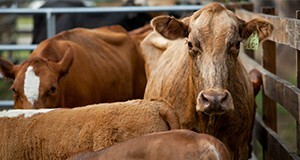 This 4-page fact sheet discusses reasons to cull as well as replacement of culled cows. Written by Matt Hersom, Todd Thrift, and Joel Yelich, and published by the UF Department of Animal Sciences, December 2015. Anyone who keeps birds, whether as pets or as production animals, should be aware that certain avian diseases can be transmitted to humans. The seriousness of the disease in humans varies with human hosts’ age, overall health, and immune status as well as virulence of the organism, infective dose, and route of infection. 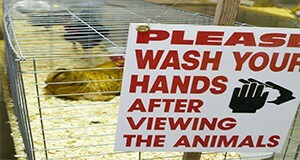 This 4-page fact sheet is a major revision which discusses causes and symptoms of avian influenza (bird flu), chlamydiosis, salmonellosis, colibacillosis, encephalitis viruses, avian tuberculosis, Newcastle Disease, and cryptosporidiosis. Written by Michael A. Davis, Gary D. Butcher, and F. Ben Mather, and published by the UF Department of Animal Sciences, revised August 2015. Original publication date: August 1997.